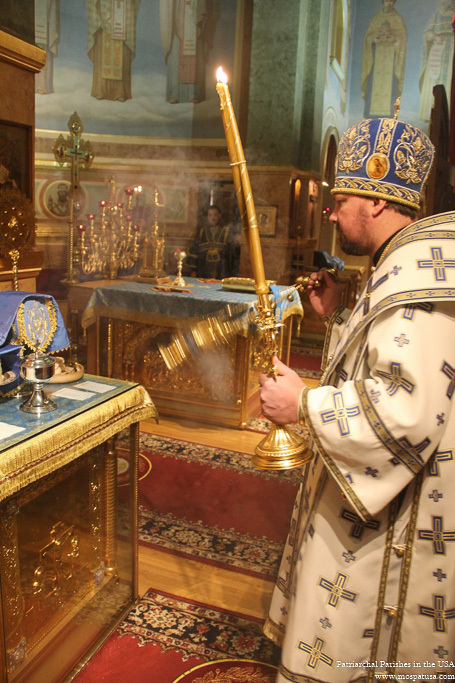 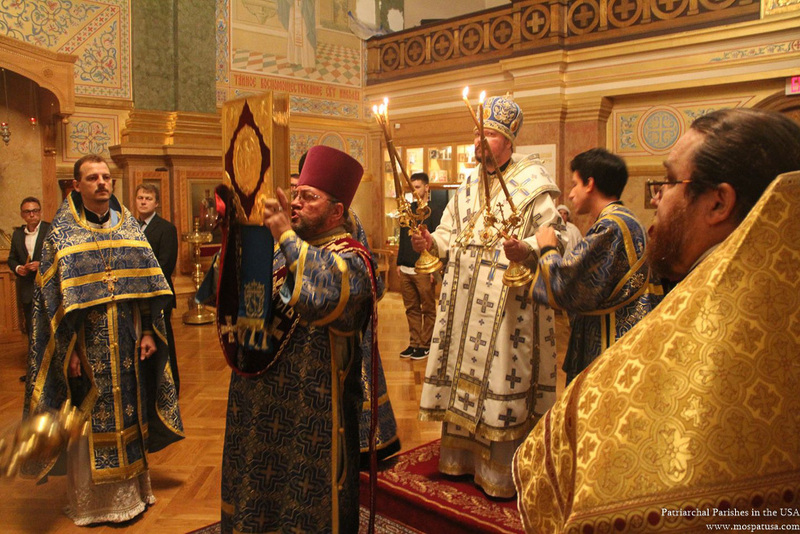 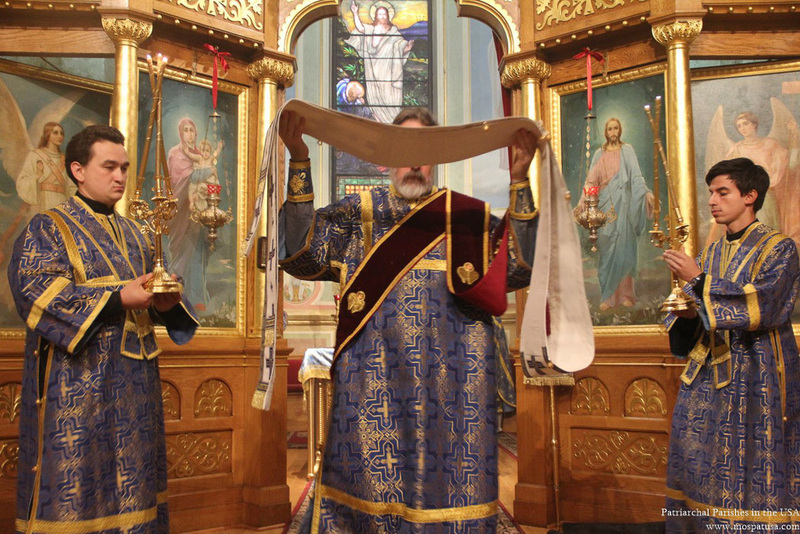 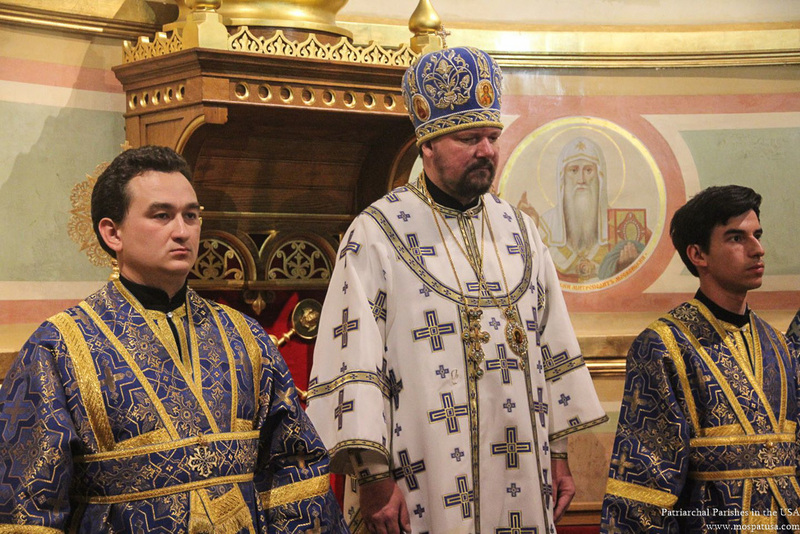 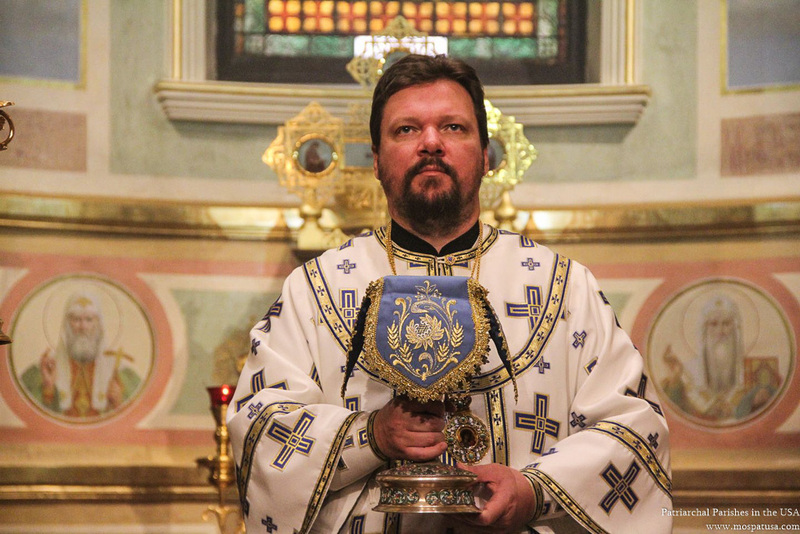 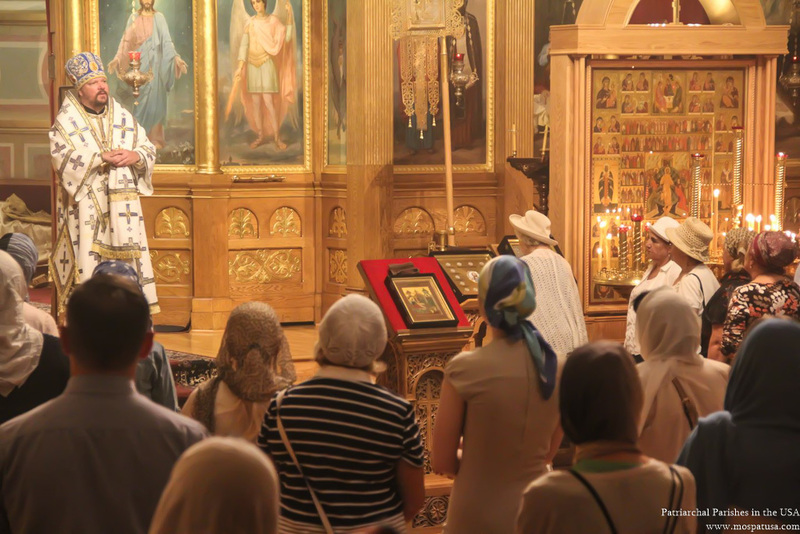 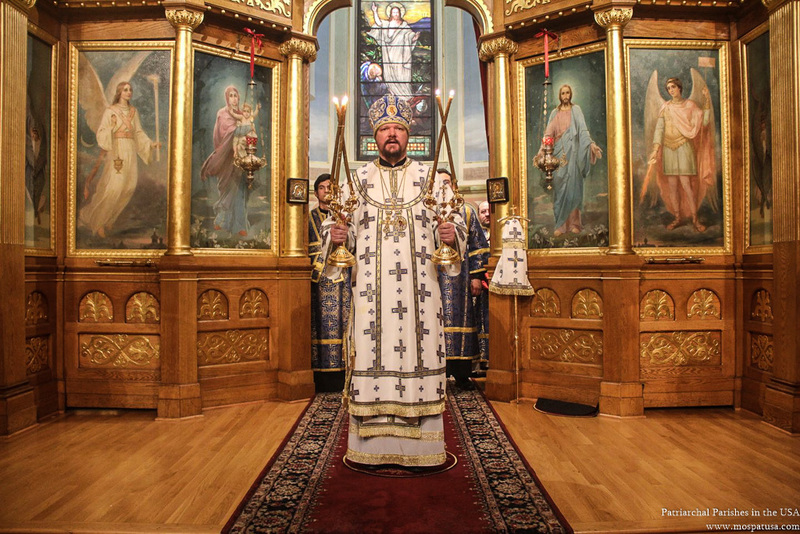 On Wednesday, September 21, the Administrator of the Patriarchal Parishes in the USA, His Grace Bishop John of Naro-Fominsk led the festal Divine Liturgy for the feast of the Nativity of the Theotokos in St. Nicholas Cathedral in New York City. 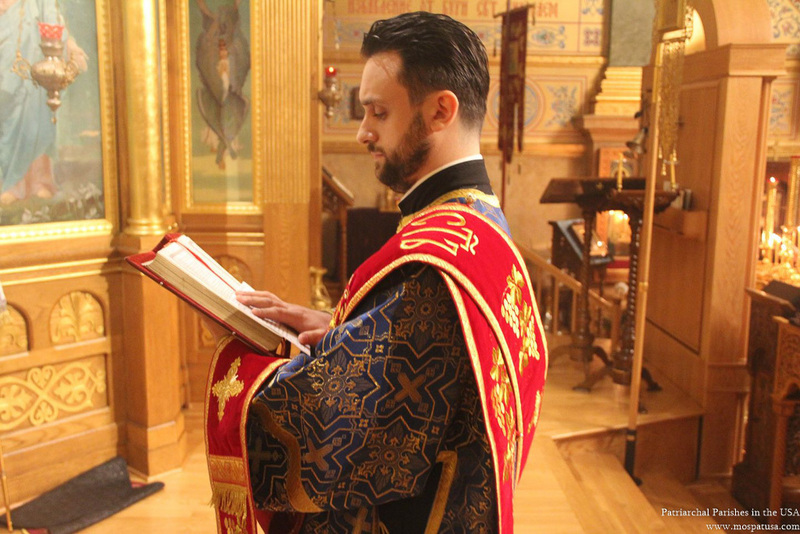 His Grace was co-served by cathedral clergy. 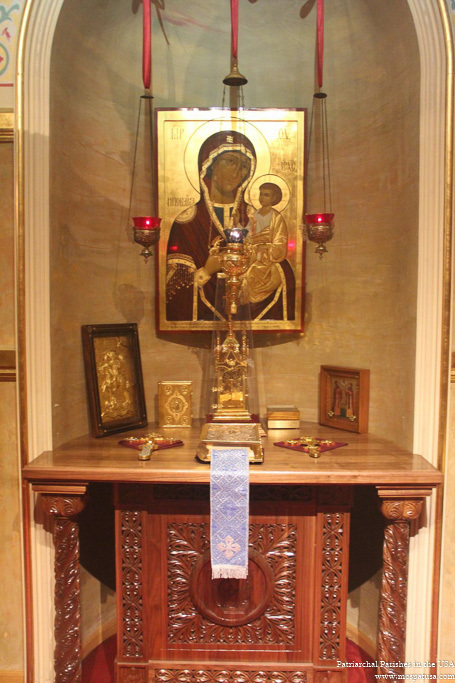 This feastday also marks the patronal feastday of the lesser altar of St. Nicholas Cathedral, consecrated in honor of the Nativity of the Holy Mother of God. 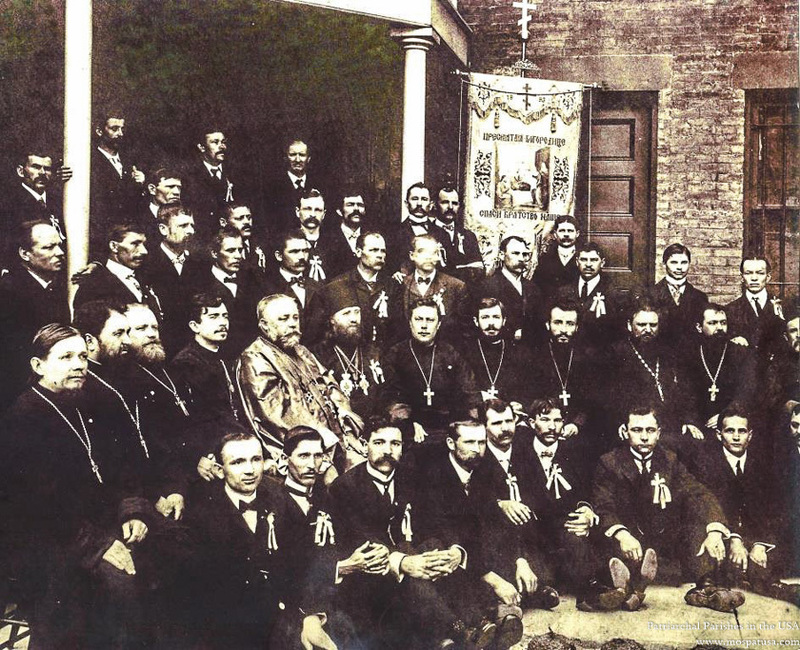 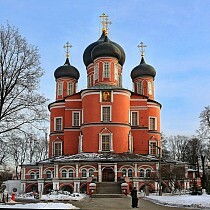 Below is a small history on the brotherhood dedicated to the Birth of the Theotkos and its significance to the history to St. Nicholas Cathedral. 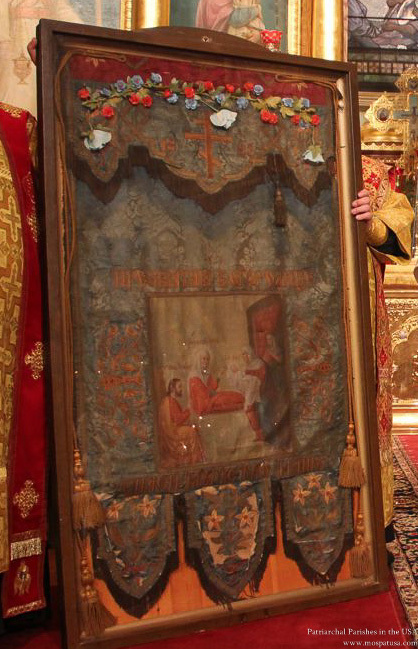 Also in the photograph is a processional banner used by the brotherhood which was returned to the cathedral in 2012.